When company is coming and you need a quick dessert...I got one for you. A pineapple upside down cake. It's is one of the easy cake to fix for your guess who coming to dinner? I like a warm sweet tart cake sometime and this cake fix the bill. 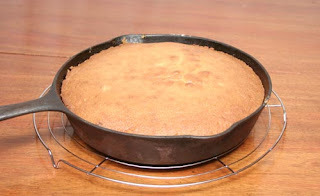 I have a wonderful friend who love this cake so much.she can eat is every other day. ( I think she like the candy pineapple). 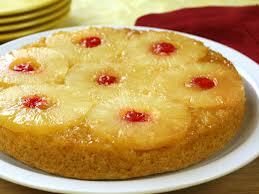 Follow the cake mix instruction, instead of water use the pineapple juice from the pineapples. 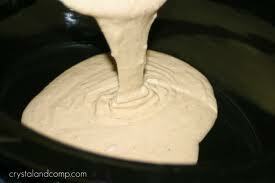 Light brown sugar (Not dark) if you used dark the syrup with be dark and the pineapple will look burn. Melt 1 stick butter in case iron pan. 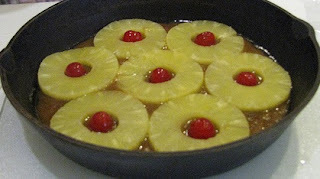 place a cup and 1/2 light brown sugar spreading over the butter and add cup crushed pineapple spreading over the brown sugar and butter add pineapple rounds on top. 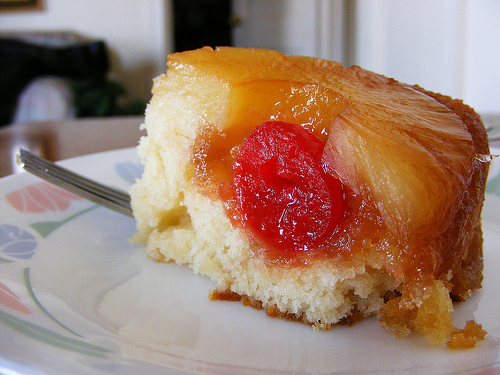 in each hole of the pineapple place a cherry.